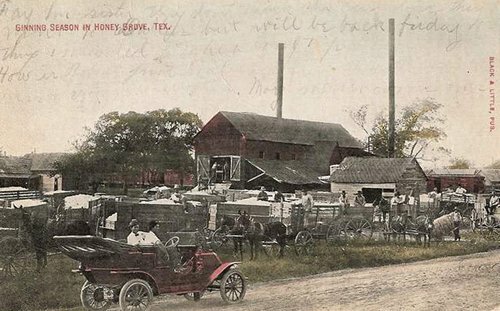 Editor�s Note: Will and Karla Beauchamp of Tuleta, Texas both descend from ancestors who planted cotton. 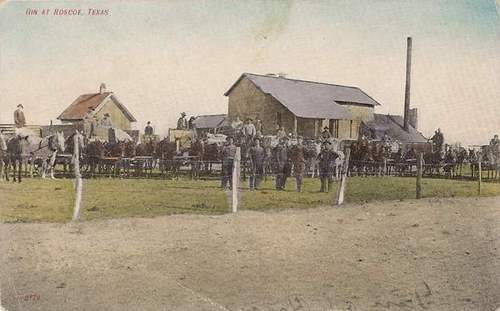 Will�s father also taught Texas history in nearby Pettus, Texas. The apple doesn�t fall from the tree and Will discovered early on that he had inherited the history gene. 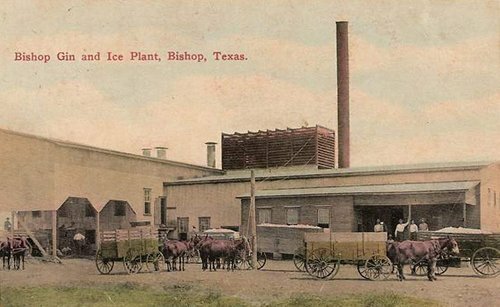 In Mr. Beauchamp�s own words: �I started out collecting antique bottles in my youth in the Tuleta / Beeville area of South Texas. My father teaching history just fueled my desire to collect historical items, especially from South Texas. 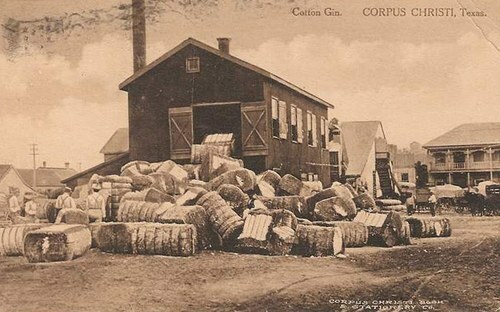 I then started collecting cotton gin postcards. 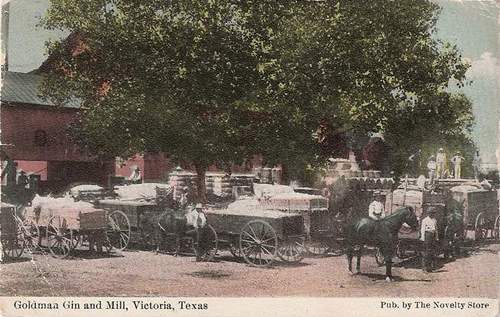 Almost every town in Texas had at least one cotton gin and many had several. 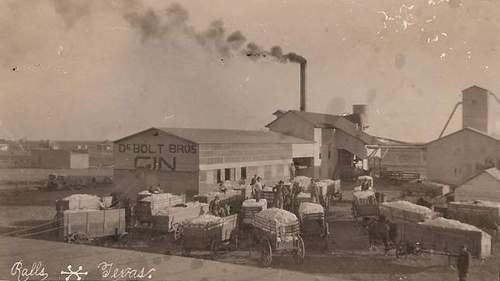 Before and after the Civil War many Southerners migrated to Texas. 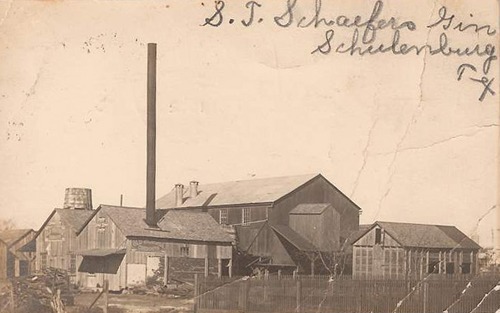 The families were so big that most farms were self-sufficient. Many cotton farmers who knew nothing else found that cotton didn't grow very well in some regions. 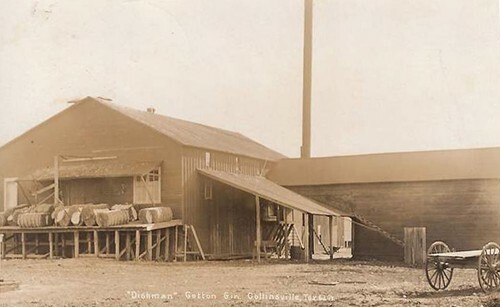 "Have been told there were 3 cotton gins in Collinsville at one time. 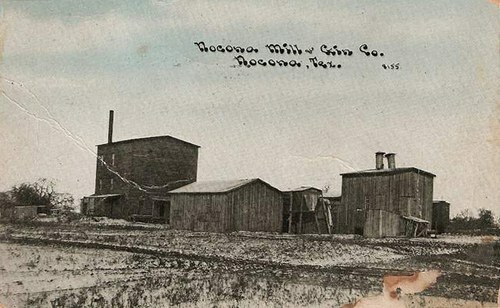 My anscestors came from GA about the 1850s-1860s and grew cotton here. Was told my grandfather as a boy won the county fair cotton picking contest. He left home when of age as cotton farming wasn't for him and he was the only boy with 7 sisters!" - William Beauchamp. 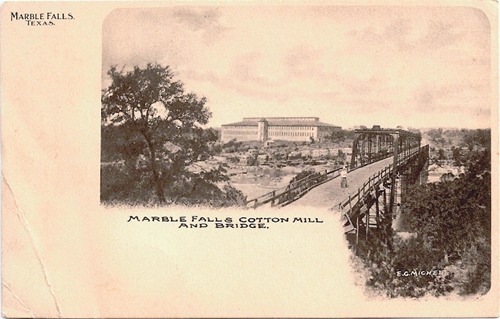 Marble Falls Cotton Mill and Bridge.